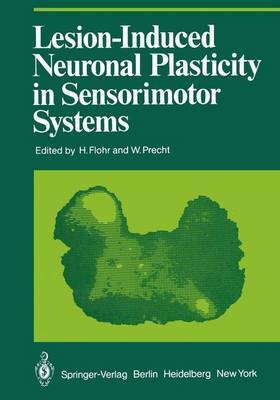 Sensorimotor systems are not rigidly wired predetermined networks but rather highly plastic structures that learn and modify their entire performance in response to changes in external or internal conditions. Lesions or distortions of the system's input, which initially cause a functional disorganization, induce an active reorganization which often leads to a recovery of function. Examples of lesion-induced neural plasticity have been known for some hundred years; however, an awareness of their value as research tools is relatively new. This current interest is a consequence of rapid- ly changing ideas concerning the nature of CNS organization. Out of these, concepts are emerging which describe neural nets as modifiable, highly dynamic, self-organizing structures. This trend is clearly reflected in this volume, which contains the proceedings of a symposium held in Bremen in July 1980 as a satellite meeting of the XXVIIIth International Congress of Physiological Sciences. The first part of this conference was devoted to some gen- eral aspects of plasticity, discussing the current theories of functional recovery as well as morphological, neurochemical, physiological, molecular, and ontogenetic aspects. The second part dealt with lesion- induced plasticity in specific sensorimotor systems of the spinal cord, brain stem, and cerebral cortex.